So you want to publish a best seller? You can learn to be a successful author with the 4 C's approach to successful authorship. 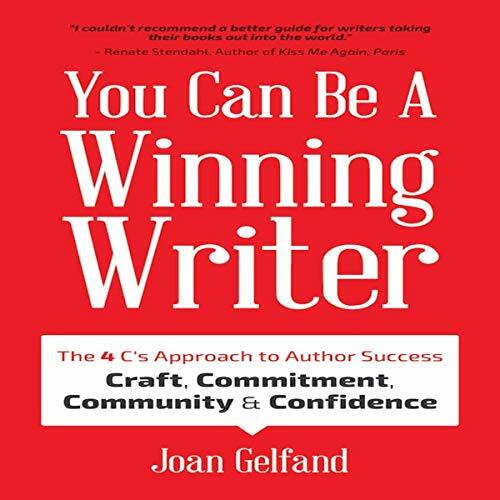 Joan Gelfand, author of You Can Be a Winning Writer, has been teaching the 4 C's to aspiring authors at book festivals and writers' conferences for the past 10 years and helping writers around the country realize their dreams of becoming successfully published. Joan has taught her 4 C's method for becoming a successful author to college professors, CEOs, doctors, ghostwriters, poets, and playwrights. On writing well: From first draft to building a reputation, the 4 C’s discusses craft and commitment and gives solid tips on how to build a literary community and a fan base. Unfortunately, becoming a successfully published author does not stop with mastering craft, commitment, and even building a community. Confidence is key, and Joan tackles this sensitive subject that keeps writers unpublished and manuscripts in the drawer. With the help of Renate Stendhal, PhD, Joan defines clear steps writers can take to overcome the demon of lack of confidence. Writing strategies book filled with authorship and publishing tips: With a splash of humor, a dose of empathy and a volume of support, mastering the 4 C’s includes real-life anecdotes from famous and not so famous but successful authors. You Can Be aA Winning Writer is the go-to book for everyone from writers just starting out to writers stalled after their first or second book and for students. The 4 C’s wisdom and stories will inspire and encourage.